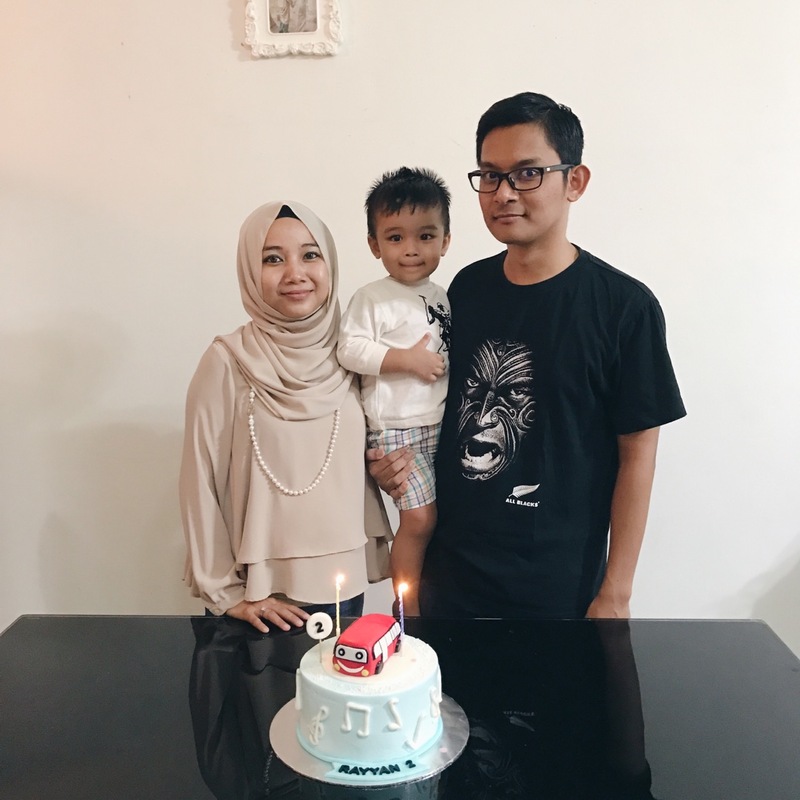 Rayyan's 2nd birthday | escaped. 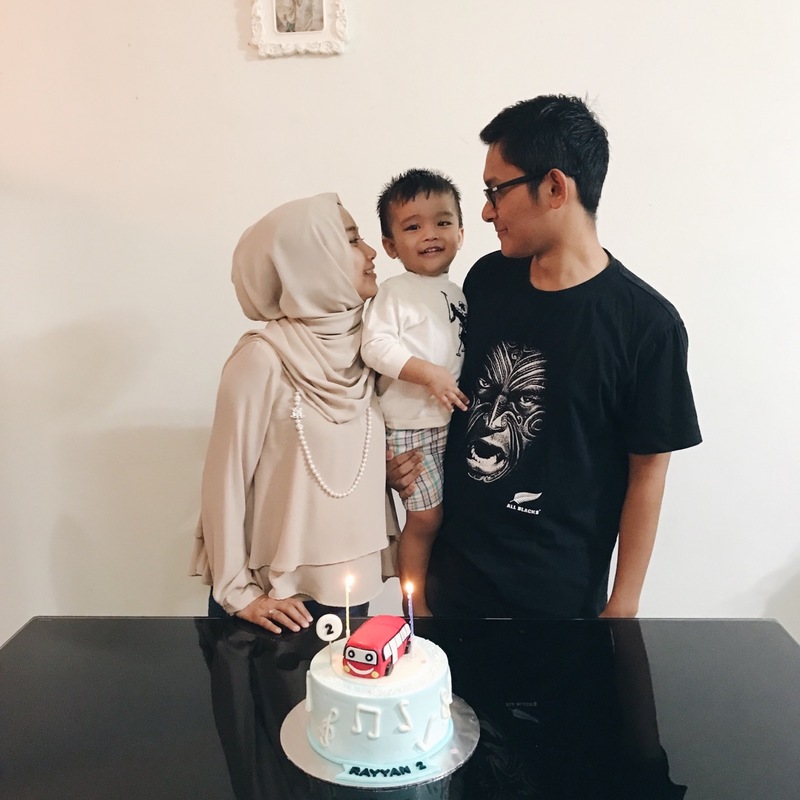 So my son turned 2 recently. I was a ball of 7-months-pregnant-mommy-hormones in the days leading before that day. I mean, how do you accept that your once-a-little-baby with red skin and bald head which smells heavenly, now is as tall as your hip and speaks to you about what he wants and kisses you whenever you ask? I couldn’t. I remember a few days before his 2nd birthday, I was home after work and I was ready to bombard Shahrul about the children birthday cakes I’ve been surveying – I knew what kind of design, what kind of cake, what kind of flavour I’m getting for Rayyan’s birthday that weekend after spending the whole day Google-ing things. He’s 2 years old. I couldn’t deal. Still can’t, though. But but but. Look at his cake! So here’s the story about the cake. 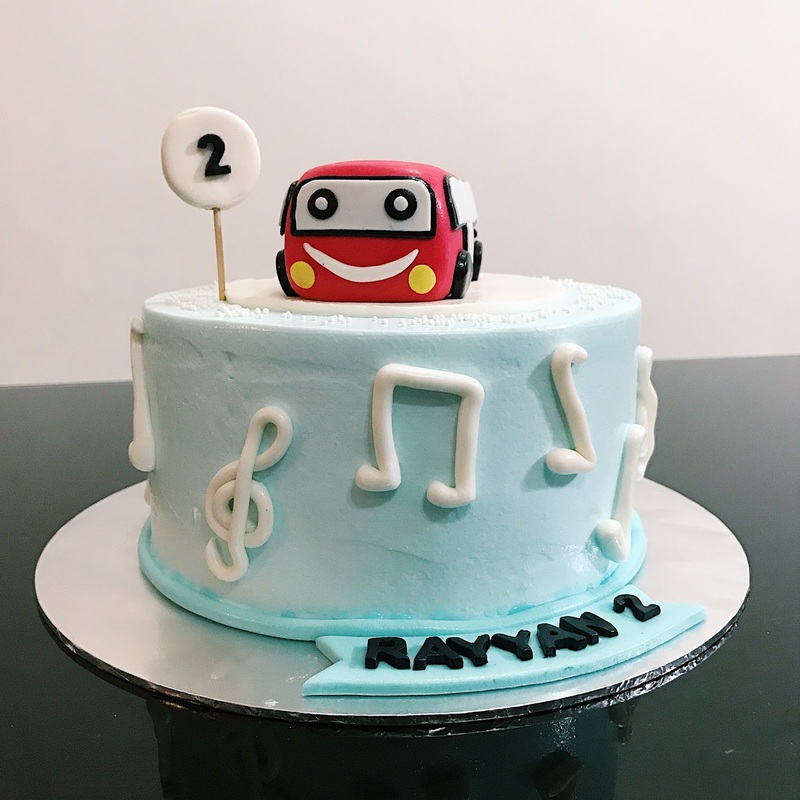 After days of research, I decided to put my trust on @craveitlah for Rayyan’s birthday cake this year - because their IG made me salivating like mad and everything they did for their customers just look perfect. In terms of price, theirs is quite reasonable too compared to some other famous IG bakers I found. 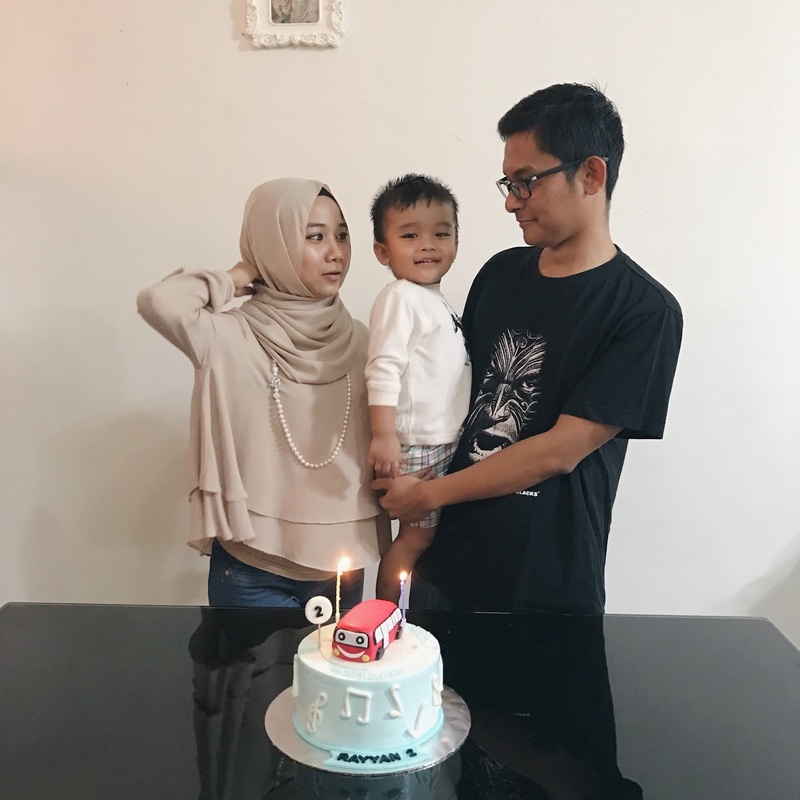 For the cake’s theme, it was easier last year when Rayyan was only one and didn’t have any preferences yet, but turning 2, his character just shows day by day. I.e. 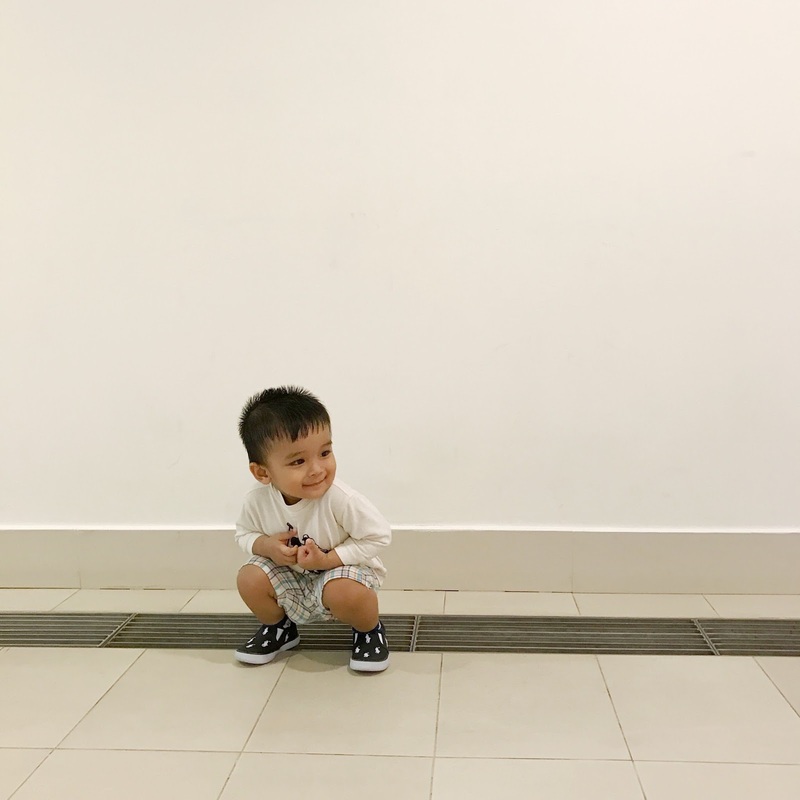 he likes to watch a particular cartoon on Youtube called Little Baby Bum and he can watch the cartoon the wholeee day (on our TV, we still don’t give him gadgets at the moment) that I’ve practically memorized all its songs. So I had this idea to incorporate the song’s characters onto his birthday cake. The main criteria? The bus, of course. His birthday was on Sunday, so I asked Yaya of @craveitlah if they do delivery. They do, and that Saturday night at 10 pm, the cake reached our doorstep. Super love you guys @craveitlah. Had a small celebration at home the next day with the birthday boy. And adjourned the small celebration to Aquaria, KLCC because he likes animals, and he hasn’t been to the place. 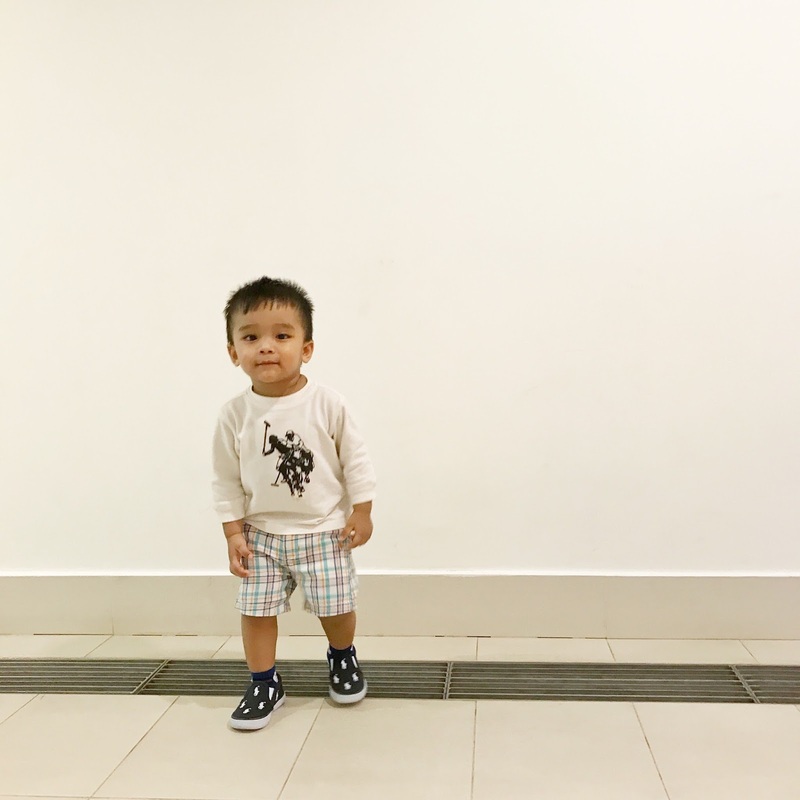 Last time when we went to Farm In The City (this reminds me that I haven’t blogged about it yet T.T), he had fun playing with the animals so we thought fishes, this time, would be a nice change. Turned out he’s scared of them T.T Or specifically the bigger fishes – at one point, he didn’t want to move from this one small aquarium with small fish, but when we went to the area where all the bigger fish were at, he was terrified and wouldn’t let go of my arms lol. Looking forward to the next visit to the animals’ habitat elsewhere haha. 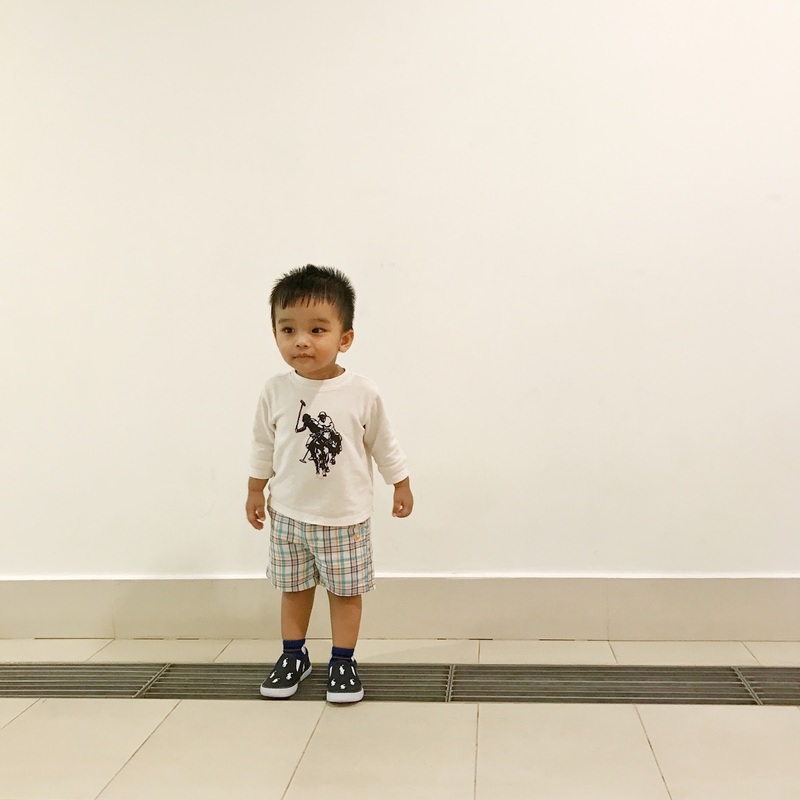 And at this moment, I still can’t believe that I have a 2-year old. And a perfect one at that. Stop growing up so fast, I want to cuddle you forever.